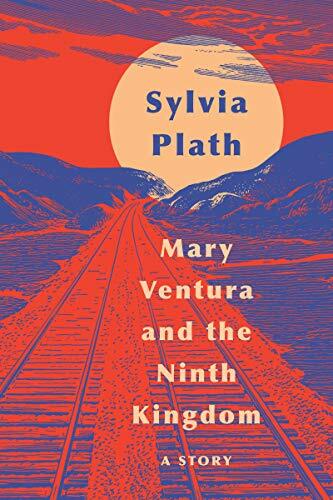 The publication of poet Sylvia Plath’s newly discovered short story, Mary Ventura and the Ninth Kingdom, follows the highly acclaimed second and final volume of her letters (The Letters of Sylvia Plath Vol. 2: 1956–1963), in which she wrote passionately about her fears and unhappiness to her psychiatrist. Those fears, which the poet wrote searingly about in her groundbreaking poetry, were grounded in feelings of despair about her autocratic father, her unfaithful, adulterous and controlling husband, poet Ted Hughes, and her own attempts at female agency and autonomy. The demons she struggled with from adolescence until her untimely suicide at age 31 were heightened by her brilliant, troubled mind, and her preoccupation with death. It is within that context that the never-before-seen short story she wrote while still a student at Smith College in 1952 can be understood. It is a short but darkly powerful tale about the struggle to control one’s fate, especially if one is female. Clearly, this is a story about death and a reflection on mortality as well as a story about whether one has control over their own life. It’s also, metaphorically, a journey to Hell. Plath called it “a vague symbolic tale.” But that hardly does it justice. Growing increasingly alarmed, Mary vows to get off the train and return home. When she’s told she can’t get off, she asserts herself. “I’ll pull the emergency cord!” she declares. What ensues offers a glimmer of hope. Perhaps we can salvage our lives! Plath once declared, “I took a deep breath and listened to the old bray of my heart. I am. I am. I am.” Is she, like Mary, fighting for a future she can define for herself? But while she was self-absorbed and fatally sad, she also gave us a cynical voice capable of demonstrating the lines between hope and reality. She transformed that voice in a way that examined womanhood, innocence, identity—and even death—as no other writer of her time did. And it’s all there in a 64-page short story, newly gifted to her followers. Elayne Clift’s award-winning short fiction has appeared in numerous literary magazines and anthologies. She has just completed her first novel, Hester’s Daughters, based on The Scarlet Letter. She is a former New Yorker who didn’t marry the man she fell in love with there. She met her British husband in Washington, D.C.—but that’s another story altogether.